← #GivingTuesday a Refreshing Alternative to Black Friday! Just in time for the holidays, here’s Zuma’s Top 10 Gift Ideas for all those folks who have no idea what to buy that special someone this Christmas. Of course, there’s a strong leaning towards office supplies, office technology and office furniture, but you’ll be shocked at the creativity and uniqueness of these gift ideas. Here are some very cool products that everyone will love to find under the tree this gift-giving season. Here’s an idea for someone who works like they mean it. This traditional style desk/table lamp will really tie an office together. That’s right – check out the stapler made famous by Milton and loved by thousands! It makes the perfect gift for the person who has everything. This stylish laptop carrying case is a road warrior’s perfect companion. The case will carry laptops up to 17”. A padded shoulder strap and padded laptop compartment ensure convenience and safe keeping. This cable-free charger with a built in travel battery pack lets you charge your iPhone or iPod device anywhere, anytime. It makes a perfect gift for those always on the go. 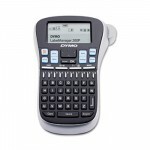 Help someone on your list restore order in their office by giving them this ultra-convenient label maker. Complete with an ABC-style keyboard and graphical display showing text effects onscreen before printing, they’ll be sure to print labels with the results they want. The rechargeable lithium-ion battery eliminates the need for batteries. You just charge and go! The 1 1/5″ x 2 1/3″ screen displays two lines of label text. Stylish stainless steel Italian designing combined with the famous DeLonghi Accuflavor system gives you a coffee maker with all the bells and whistles including 24 hour programmability. It’s a great coffee maker that would look good on any counter. 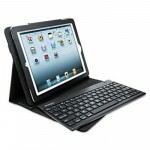 You’ll wow some lucky iPad owner with this iPad case complete with a high performance removable keyboard. The Velcro fastener inside the case allows the tablet to rest upright, so the tablet can be transformed into a miniature laptop, with the adjustable keyboard by its side. This item is now only $79.95! The removable Bluetooth keyboard delivers wireless operation. Protect friends or family with this 7-sheet capacity shredder, perfect for shredding personal or home office documents. A reverse button makes it quick and easy to clear paper jams. This shredder is now only $69.97. Here’s a holiday deal that will make you jump out of your seat! This Alera leather chair with a plush pillow-top seat and back retails for $569, but is being sold this December only for $218.95! Lucky gift recipients will think you spent hundreds more. A chrome-plated five-star base with nylon casters makes for easy mobility. 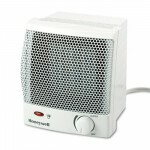 Warm someone’s heart and their office this winter with this adjustable thermostat heater. Complete comfort is the name of the game with this ceramic heater and its infinite number of heat settings. 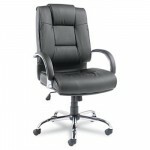 It is made with flame resistant plastic and features three auto shut-off systems for the utmost safety. The innovative ceramic heating elements stay cool- even to the touch. This entry was posted in Office Supplies Shopping Tips and tagged gift ideas, Holiday Shopping Tips, office products, office supplies, top ten gifts. Bookmark the permalink.